LJM Massage is a private practice offering Sports Massage Treatments at The Village Hotel in Farnborough. We cover the surrounding areas, Farnborough, Aldershot, Ash, Fleet. Sports Massage is not just for athletes or people who do exercise. It can be beneficial for people who sit at a desk, drive for long periods of time or are under a lot of stress. All of this can build up tension and lead to muscular aches and pains. We always ensure that we assess each client individually to ensure that Sports Massage is appropriate and tailored to them. 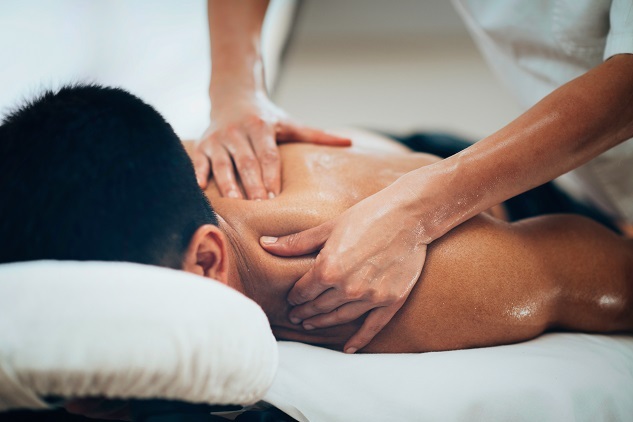 We provide Sports and Relaxation Massage Treatments, incorporating a range of techniques to improve the soft tissue condition and joint mobility. Whether you have been suffering from aches and pains for a while or have a recent injury, soft tissue therapy can help relieve muscular pain and tension and promote relaxation. We want to ensure that our clients are able to continue to get better longer term so we offer a range of remedial exercises to enable a faster recovery and rehabilitation. If you would like to access to free advice on a variety of topics through our regular blogs and mini articles then please like our FACEBOOK PAGE.